This is a very special salad recipe, because it comes with a story. A couple of weeks ago I fell into a rut in the kitchen. I felt uninspired to create any recipes…or to cook. While there are days, and even weeks, when I cannot stop creative juices from flowing, there are times when I feel completely blank and rely on my own web-site to keep food on the table. 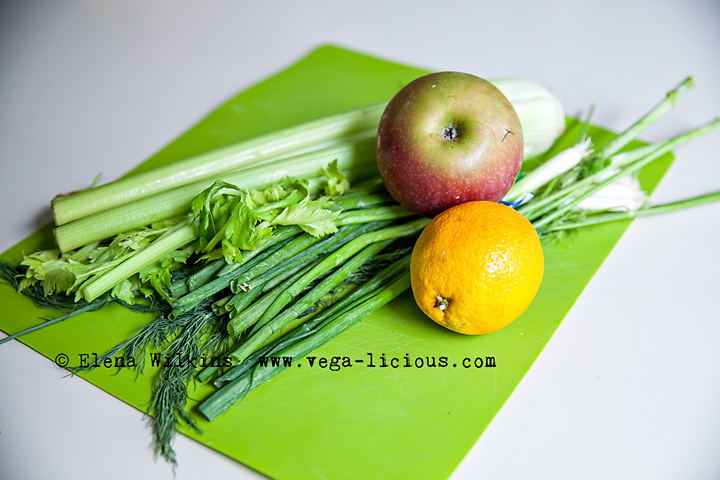 Yes, I go to Vegalicious blog to pull recipes! Last Thursday, still uninspired, I cooked a couple of cups of buckwheat…but that is as far as it went. I could not come up with a sauce recipe to go with it. With Hubby only minutes from arriving from a hard day at work, I made roasted veggies–a very delicious dish, and we all slurped it up. Yet…still no inspiration. Having sent him off to work the morning after, Sprout and I got to cleaning–she was making the mess, and I was cleaning. 🙂 With kitchen scrubbed and house shining top to bottom, it was time to make lunch. I stood by the stove and stared at the cooked (now cold) buckwheat. Nothing! I opened the fridge…nothing! So, I decided to follow my taste buds. “What do you want to taste?” I asked myself. 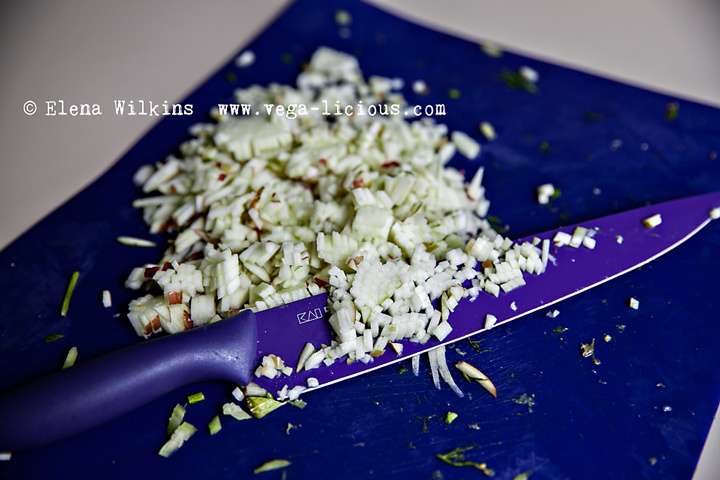 I reached for an apple, celery…thought a little bit longer, grabbed green onions and dill. That was the beginning of my inspiration. 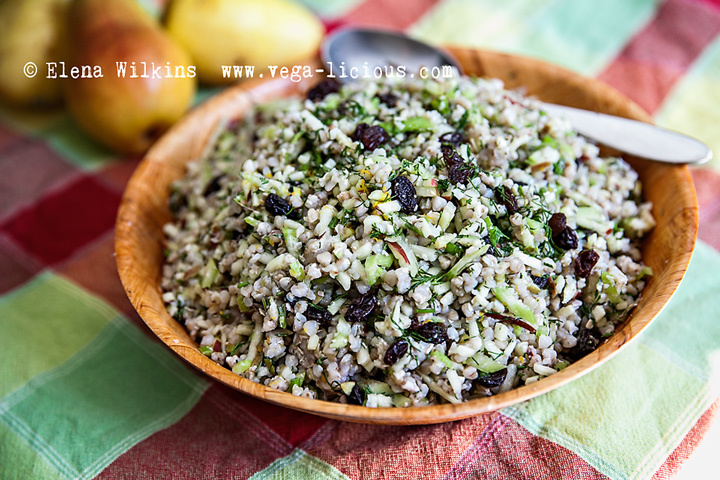 I knew that I had to use buckwheat–there was no way I was going to throw away a perfectly good food. NOTE: this dish can be also made with quinoa and other delicious grains. The dish can be enjoyed as the main course or a side dish. I guarantee that this will be your new favorite dish to enjoy. Make it, leave a comment and let me know how it comes out. Spread the love and share this recipe: pin it, facebook it, twitter it…and you know the rest.